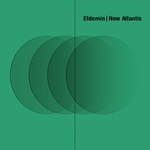 Efdemin, aka Phillip Sollmann, returns with a striking hybrid concept that merges the album format with the "continuous DJ mix" format, presenting completely new material in a seamless manner. This CD-mix, named Naïf, officially reinstates his label of the same name and is a sprawling tour of inner space featuring 19 distinct tracks from fellow producers (e.g. Margaret Dygas, Steve Bicknell, Jeroen Search, Pom Pom, Marco Shuttle, or Gunnar Haslam) along with an additional ten that feature Efdemin himself (either as soloist or collaborator). Naïf consists of completely unreleased/never-before-heard material from both himself and valued collaborators, all of which will eventually manifest as EP releases: two will be available on Curle Recordings, with an additional five on his own Naïf label. All of the individual contributions are combined here in a painstaking assembly process that took an entire year to complete, and the result is that the album flows with an almost paradoxical effortlessness from one style to the next. 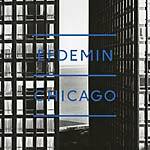 Besides the strong collection of tracks from well-known and undiscovered producers alike, it's Efdemin's own contributions that stand out. 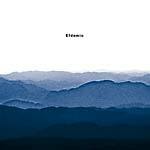 This becomes evident once the album opens with spectral, distant bells and homemade modular synth sounds leading into more unreleased Efdemin pieces, "Watte" and "Sirius", whose deep dub resonance will completely grab your attention. Later in the mix is electroacoustic textures of "Laveline", a collaboration with Konrad Sprenger. The standout composition on Naïf is Efdemin's infectious microtonal techno "Move Your Head" where Sollmann's voice hovers over distorted 808 patterns and immersive justly-tuned synth pads, pointing the way towards the formative, trailblazing influences that pre-dated techno: Silver Apples, This Heat and the drone aesthetic of Tony Conrad. A supporting cast of favorites turn in everything from blinding energy (Steve Bicknell's "Running Man"), to unrestrained ecstasy courtesy of Inland/Ed Davenport, to the overdriven lockstep groove of Cassegrain's Rhyw. Naïf is a release that will take several listens to fully explore, with each successive listen unearthing a new discovery. Also features Autolyse, Gürtler, WaWuWe, Kuf, Staffan Linzatti, DIN, Cassegrain, Pharaoh, Savas Pascalidis, Patrik Skoog Jinge, tobias., Nihad Tule, Aubrey, and Simone Gatto. 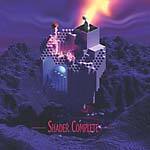 Four-panel digipak; Includes download card.